LYNN, Mass. 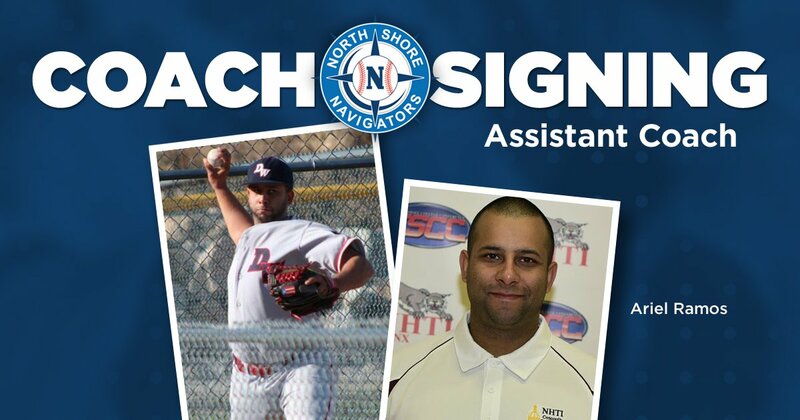 — The North Shore Navigators have announced the hiring of Ariel Ramos as their new assistant coach. Ramos completes the Futures Collegiate Baseball League club’s field staff for the 2019 season as he will join first-year manager Mike Odenwaelder in the dugout, working with the pitching staff. Ramos joined New Hampshire Technical Institute as its assistant coach and pitching coordinator in June. The Lowell native and Daniel Webster College graduate is entering his sixth season overall as a coach and professional consultant for both high school and collegiate players. Ramos began his collegiate career at Northern Essex Community College and spent more than five years as a United States Marine before graduating from Daniel Webster in 2015. He helped the Eagles win the New England Collegiate Conference championship in 2013 and captained former Worcester Bravehearts manager J.P. Pyne’s team as a senior. Following graduation, Ramos pitched in the Mount Rainier Professional Baseball League for one summer and spent close to a year as an assistant coach at his alma mater. Stay tuned for further announcements in preparation for the 2019 season over the coming weeks and months, including the rest of the player roster. The team’s home opener at Fraser Field is slated for Saturday, June 1.